Author and Editor of the 2016 and 2017 LexisNexis Matthew Bender Practice Guide: California Insurance Coverage and Litigation, Neil Selman serves on the firm’s Executive Committee, and is Managing Partner of the firm’s Insurance practice group. He has decades of experience representing insurers in coverage and related matters, including first- and third-party property-casualty issues, bodily injury, property damage, advertising and personal injury coverages, construction and environmental matters, sports and entertainment coverages, and professional liability, as well as extracontractual issues. Neil advises his clients on business practices, underwriting and claims handling, and drafts policy language and endorsements. His experience also includes primary/excess issues and the representation of surplus lines carriers. Additionally, he is involved in the defense of insureds, and has nationally-coordinated cases involving toxic substances. Neil has represented insurers not only in a consulting capacity, but has also litigated matters in all areas relating to insurance. He has tried coverage and bad faith cases in California and other states and has appeared in the appellate courts of the State of California and other states as well. He has also been responsible for arguing cases before the California Supreme Court, which have had significant impact on California insurance coverage law and the rights of insurers. 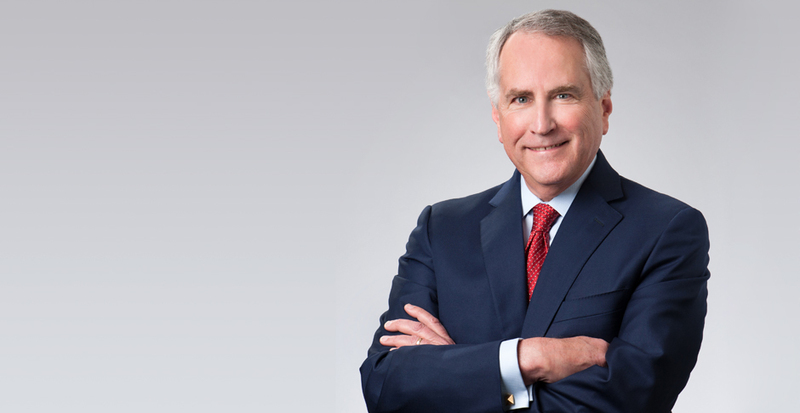 Neil has served as Judge Pro Tempore in the Los Angeles Municipal Court and as Arbitrator for the Los Angeles Superior Court Arbitration Program. He is certified as a graduate of a mediation program provided by Pepperdine Law School, Straus Institute for Dispute Resolution, "Mediating the Litigated Case," May, 1999. Neil is very active in the legal community and is often sought after for speaking engagements. In 2018, for the second year in a row, Neil serves as Co-Chair of the Perrin Emerging Insurance Coverage & Allocation Issues Conference. Also active in his local community, Neil is involved in a variety of activities in the Los Angeles area. He has served on the Board of Directors of the Hollywood Bowl Society, a support group for the Los Angeles Philharmonic and Hollywood Bowl. He was the Founder and Chairman of the Organizing Committee of the Pacific Palisades Celebration of Our Shared Values, which was a community-wide, week-long event focusing on the importance of values, an event sponsored by all religious institutions in Pacific Palisades, California. Additionally, Neil recently served on the Advisory Committee of the Human Rights Committee of the City of Los Angeles. Serves as Western Regional Coverage Counsel for a Surplus Lines Insurer with responsibility for coverage positions throughout the western United States, and also provides this service for a different major admitted carrier. In Federal Bankruptcy court, represented an insurer which issued an environmental remediation policy and paid its $75 million limit by devising a strategy to recoup funds which included settlement with debtor securing first lien position on real property, a release of all extracontractual claims, the filing of actions against third party polluters, and condemnation actions against a municipality, all of which has so far reimbursed the client for over $55 million and total recovery will achieve full reimbursement after sale of secured lien position. After winning in the trial court, established significant appellate authority on the scope of the professional services exclusion by upholding the judgment that determined that ear-piercing was a professional service. Served as coverage counsel for various carriers on issues dealing with California earthquakes, including statutes of limitations, appraisals, causation, and demands for re-opening of claims. Represented an insurer in a case involving an excess of limits judgment totaling approximately $170 million excess of a $1 million policy. Assisted in strategy to have judgment set aside and worked to successfully resolve all outstanding claims for appropriate amounts. Filed a reformation action on behalf of an insurer against a major oil company in a suit involving coverage issues for clean up of polluted sites in which client's $25 million policy did not contain a pollution exclusion. The case was won when the court granted reformation and ordered that a pollution exclusion, barring coverage for all claims, should be added to the policy in order to properly reflect the parties' intent. Represented multiple insurers in a lengthy, complex environmental insurance coverage litigation, where an insured oil company sought coverage for the clean-up of its refineries, oil fields and gas stations across America for pollution caused by the company over the years. The insurers have conducted extensive depositions of site witnesses, experts, and environmental consultants, and successfully obtained rulings against the oil company barring recovery for: (1) the oil company's pre-tender costs; (2) the oil company's claims that do not involve an actual lawsuit; (3) policies containing an absolute pollution exclusion; and (4) policies containing a "sudden and accidental" pollution exclusion. Issues also included whether there are any covered property damage during the policy period at an oil field on the Central Coast of California and whether the oil company "expected or intended" such damage. In response to insured's tender of complaint for cost recovery relating to soil and groundwater contamination allegedly arising out of insured's transportation and disposal of hazardous waste, analyzed the applicability of the carrier's pollution exclusion, determined whether a public liability endorsement provided coverage, and addressed other coverage issues. Obtained California Supreme Court review of the Court of Appeal's decision that insurer client could not seek reimbursement of defense costs it paid under a reservation of rights but was ultimately found not to have owed as a matter of law. The Supreme Court agreed with our argument that in keeping with the seminal Buss v. Superior Court (Transamerica Ins. Co.) (1997) 16 Cal.4th 35 decision and principles of equity, insurer client was entitled to full reimbursement of defense costs paid establishing the carrier's right to reimbursement in California. Dart Industries, Inc. v. Commercial Union Ins. Co.
Selman Breitman represented Commercial Union in a landmark declaratory relief action involving lost policy issues. The Dart decision set forth the groundwork for the standard required to prove the terms of a lost insurance policy or other document or instrument. The Dart court ruled that the terms of a lost document can be proved through secondary evidence establishing the document's substance, but that the contents of the documents need not be proved verbatim. Montrose Chemical Corp. v. Admiral Ins. Co.
Selman Breitman served as amicus curiae in this landmark California insurance coverage case. In Montrose, the California Supreme Court determined that continuous and progressively deteriorating bodily injury and property damage constituted an "occurrence" within the meaning of insurance policies. Accordingly, the court held that a continuous trigger applies such that bodily injury or property damage that progresses or continues through multiple policy periods triggers all policies in effect during those periods. Selman Breitman's insurer client issued a restricted auto policy to the plaintiff. Both the policy application and the policy stated that the insurer would pay 100% of reasonable repair costs incurred at one of its Preferred Repair Facilities ("PRFs"), and 80% of costs incurred at an unapproved facility. The plaintiff's vehicle was damaged, and he took it to a PRF. He was dissatisfied with the PRF's repairs. The plaintiff thereafter brought a class action suit against the insurer. He argued that the insurer's "two-tiered" system of payment and the use of non-equipment manufacturer ("non-OEM") repair parts involved unlawful "steering." He also argued that the insurer failed to prominently disclose its two-tiered payment system in the application as Insurance Code section 758.5 requires. Selman Breitman argued that the use of a two-tiered payment system and non-OEM repair parts is lawful. Further, the application prominently disclosed that a two-tiered payment system would apply. The trial court agreed with Selman Breitman's arguments and struck the class claims. The Second Appellate District affirmed. It stated that as a matter of first impression, the insurer prominently disclosed its two-tiered payment system in its application. The Court further held that there is nothing unlawful about the mere use of a two-tiered payment system or non-OEM parts. Successfully moved for summary judgment on behalf of excess insurer client. Argued that the insurer's policy was excess to and "followed form" with the underlying 2005 to 2006 Capital policy with $1 million limits. Since the underlying 1994 loss occurred outside the effective dates of the underlying Capital policy, it was likewise not covered under the insurer's "follow-form" excess policy. Defeated plaintiffs' argument that the excess policy was "ambiguous" as to whether it was excess to a different policy, namely, a 1993 to 1994 Crusader policy with $500,000 limits. Crusader had defended the action arising out of the 1994 loss and contributed its $500,000 limits to the $1 million settlement (with the plaintiffs contributing the balance). Plaintiffs contended that the excess policy's Schedule of Underlying Insurance was "ambiguous" and could be interpreted to refer to Crusader because the Capital policy number was described as "TBD." We argued that to be ambiguous, a policy provision must be subject to more than one "reasonable" interpretation. The reference in the Schedule of Underlying Insurance to a 2005 to 2006 Capital policy with $1 million limits could not reasonably be interpreted to refer to a 1993 to 1994 Crusader policy with $500,000 limits. The Second Appellate District affirmed. It agreed that the Schedule of Underlying Insurance was not reasonably subject to the interpretation plaintiff espoused, namely, that Crusader was the underlying insurer. The Court of Appeal further agreed with our argument that there was no amount in "excess" of $1 million as required to trigger excess coverage in any event, since the underlying settlement was for exactly $1 million. Gridley Assoc. v. Transamerica Ins. Co.
Selman Breitman appeared pro hac vice before the Court of Appeals in a case involving the interpretation of a sudden and accidental pollution exclusion. The appellate court affirmed the trial court's ruling holding that the term "sudden" as used in the exception to the exclusion was clear and unambiguous and necessarily included a temporal element. A beauty salon owner brought a breach of contract/bad faith action against its general liability insurer alleging failure to defend allegations of misappropriation of trade secrets, specifically "a customer list, a price list and pricing policies." The insurer denied coverage under "advertising injury" arising out of "misappropriation of advertising ideas or style of doing business," questioning: (1) whether Hameid was involved in "advertising"; and (2) whether the allegations gave rise to potential coverage under the "advertising injury" policy provision. The California Supreme Court found most published decisions held "advertising" to mean widespread promotional activities directed to the public at large. The insureds' telephone calls and mailers to a competitor's customers were found to be one-on-one solicitations of customers, not "advertising" and there was no duty to defend lawsuit. The firm filed briefs in this matter as the California Supreme Court held another matter in which the firm was involved pending the outcome of Hameid. Rios v. Scottsdale Ins. Co. The Court of Appeal upheld Summary Judgment against the insured in this matter. The insured's application had requested a "Special Form" property policy. Scottsdale Insurance Company, however, offered Basic Form policy instead, which the insured's broker accepted. Later, an uncovered theft loss occurred, and Scottsdale disclaimed. In the following lawsuit, the insured contended that her application sought theft coverage, and that her broker represented that she had obtained a Special Form policy. The Court determined that the application was merely an offer of coverage, and that the quote by Scottsdale for Basic Form was a counter offer, which was ultimately accepted by both the insured and her broker. Further, the mistakes made by the insured's own broker could not be attributable to the insurance company as a matter of law. As a result, there was no valid cause of action for breach of contract, breach of the implied covenant of good faith and fair dealing, negligent misrepresentation or fraud. In this class action case, the firm handled issues concerning statutory construction of an insurance code provision concerning what coverage is required to be provided in a group health insurance policy. The court held that a health insurer had no statutory obligation to provide all coverages within the group plan on the same terms and conditions as other coverages within the same policy. Mr. Selman is the author of Chapter 49 - "Business General Liability Policies" (as updated in 2008), California Insurance Law & Practice (Matthew Bender). In addition to authoring a wide variety of program booklets and other materials for seminars and other programs he has presented, Mr. Selman has authored numerous articles, including "Exposure to a Manifest Injustice: The Argument Against Horizontal Stacking in Latent Injury and Damage Cases," 5 Mealey's Litig. Rep.: Insurance 16, 21 (1990) (cited in Cole v. Celotex Corp., 599 So. 2d 1058, 1077-78 [La. 1992]); "New Statute re Notification to Claimant of Settlement Checks," California Association of Independent Insurance Adjusters Status Report, February, 1995; "Horizontal Bar - Continuous Loss and Exhaustion of Primary Insurance," Los Angeles Daily Journal, December 18, 1997; "New CGL Form Promises Fresh Theories to Litigate," Los Angeles Daily Journal, December 14, 1998; "Collision Course," Los Angeles Daily Journal, December 13, 1999; Quoted in article: "Liability Could Hinge on What is ‘Act of War,’" Los Angeles Daily Journal, September 14, 2001; "The 'Known Loss' Language Stated In Current Standard CGL Policies – Is It Working? (co-authored with Caryn Siebert), The Critical Path Newsletter of Defense Research Institute (DRI) Construction Law Committee, September, 2008; "Not Losing Sleep Over Exhaustion: Understanding When Excess Insurance Is Triggered," Covered Events Newsletter of DRI Insurance Law Committee, 2011, Issue 5; "Medicare Set-Asides and Third Party Liability Cases" (three part article; July 2011) PropertyCasualty360, National Underwriter Website; "When is Work Abandoned for Purposes of the Products-Completed Operations Hazard?," American Bar Association, Section of Litigation Insurance, Committee on Insurance Coverage Litigation webpage (Summer 2011); "Insureds Fight for Their Day in Court" (co-authored with Rachel Hobbs), Los Angeles Daily Journal, September 8, 2011; "Umbrella Liability Coverage: How It Can Drop Down to Cover Claims Not Covered by Underlying Primary Coverage," Covered Events Newsletter of DRI Insurance Law Committee, 2012, Issue 12; "State Courts Split on Whether Insurers Obligated to Pay Attorney Fees," Los Angeles Daily Journal, May 9, 2013; and "Negligent Supervision Likely Not An 'Occurrence' in California" (coauthored with Lynette Klawon), Los Angeles Daily Journal, May 16, 2013. Mr. Selman participates in seminars and panels on insurance issues throughout the United States, including the American Bar Association, the California State Bar Convention, Defense Research Institute, Los Angeles County Bar Association, Orange County Bar Association, Continuing Education of the Bar (CEB) for the California State Bar, West Coast Casualty, Combined Claims Conference, Ohio Civil Trial Lawyers Association, Lorman Educational Institute, The Insurance Education Association, RE/MAX International Summer Conference for Brokers/Owners and Managers, The Seminar Group, Claims and Litigation Management Alliance (CLM) Annual Conference, and The Environmental Claim Managers Association. Mr. Selman also serves as an expert witness pertaining to insurance and claim handling issues and has testified on various insurance issues. For the past eleven years, Mr. Selman has been invited by the California State Bar to teach insurance issues at the California State Bar Annual Meeting. Mr. Selman has presented continuing education courses regarding insurance issues, pursuant to authorization of the Departments of Insurance in California, Nebraska, New Hampshire, Texas and Missouri. Most recently, Mr. Selman spoke on Primary/Excess Issues at Defense Research Institute's Insurance Coverage and Claims Institute in April, 2013. Montana Supreme Court Says No Bad Faith When Carrier Refused to Pay Settlement Because Medicare Liens Were Not Resolved California Supreme Court Overrules Existing Law on Assignment of Claims After Loss California Supreme Court Issues Pro-Insurer Decision Regarding Implied Disparagement For Personal And Advertising Injury Liability Coverage Purposes Are Plaintiff's Attorney Fees Covered Under a Standard Business Liability Policy? Auto Insurer Alert - The California Insurance Regs Have Been Changed! Neil Selman's professional group memberships and positions include: the Defense Research Institute (Committee on Insurance Law; current Chair of the Subcommittee on Excess/Umbrella Issues; past Chair of the Subcommittee on Employment Law Claims); the American Bar Association (Insurance Coverage Litigation Committee; Co-Chair of the Additional Insured Subcommittee; past Vice Chairman of the Toxic and Hazardous Substances Litigation Committee, Torts and Insurance Practice Section); the American Bar Foundation, an honorary and educational society of the American Bar Association (Fellow); the Claims & Litigation Management Alliance (CLM) (Member); the Litigation Counsel of America (Fellow); the Association of Southern California Defense Counsel (Coverage/Bad Faith Substantive Law Committee); the Los Angeles County Bar Association (Insurance Committee); and the American College of Coverage and Extracontractual Counsel (Member). Neil is involved in a variety of community activities in the Los Angeles area. He has served on the Board of Directors of the Hollywood Bowl Society, a support group for the Los Angeles Philharmonic and Hollywood Bowl. He was the founder and Chairman of the Organizing Committee of the Pacific Palisades Celebration of Our Shared Values, which was a community-wide, week-long event focusing on the importance of values, an event sponsored by all religious institutions in Pacific Palisades, California. Neil recently served on the Advisory Committee of the Human Rights Committee of the City of Los Angeles. "Neil Selman of Selman Breitman is 'smart, practical and knows the law,' reports a client. He handles coverage matters for insurers including property, personal injury and advertising matters, among others. He has notable trial experience in coverage matters and also litigates bad faith claims."